Ericsson India Private Limited will have to refund the entire amount of Rs 550 crore it got from Reliance Communications Limited (RCom) if the stay placed by the National Company Law Appellate Tribunal (NCLAT) on May 30 last year is vacated by it, a two-judge bench led by Chairperson Justice S J Mukhopadhaya observed. "Why should one party get it and why should banks suffer? Why should the Indian economy suffer," the two-judge Bench observed, adding that it would either quash RCom’s bankruptcy proceedings in NCLT or allow bankruptcy case to proceed as per law. The appellate tribunal is hearing a plea moved by RCom in which the Anil Ambani led company has urged for the insolvency proceedings against it to be started as it was unable to repay its lenders. During the hearing on Monday, the NCLAT has asked the parties to file an affidavit stating whether they had challenged the NCLAT’s stay order of May on RCom’s insolvency in the Supreme Court. On the next date of hearing on April 30, the appellate tribunal said it would consider the Department of Telecom’s (DoT’s) reply to RCom’s plea challenging the department’s show cause notice to the company. 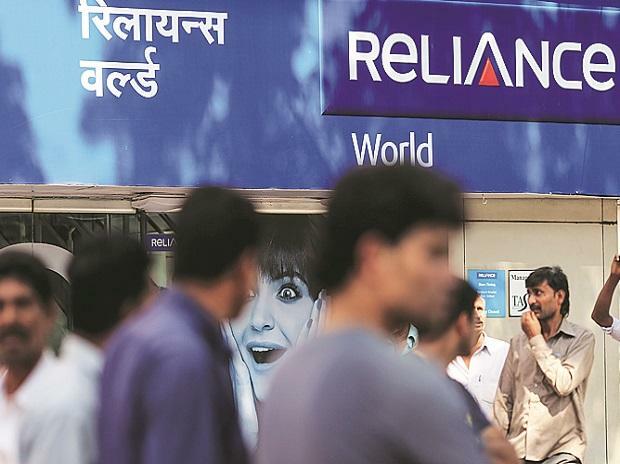 The DoT had issued a show-cause notice to RCom asking as to why its license should not be cancelled and the bank guarantee it had submitted be invoked as the company had failed to pay spectrum charges. In its plea, RCom has urged the court that the insolvency petition against it should now be allowed to restart since it had purged the top court's contempt by paying Rs 453 crore to Ericsson India Private Limited. Ericsson India on the other hand opposed this plea and said that the entire insolvency application should now be disposed-off since it had already come to an agreement with RCom and received the said money. During the last hearing, the NCLAT had, until further orders, stayed any action by the DoT on the two show cause notices it had issued RCom. The two-judge bench had also stayed the operation of a DoT letter of March 20, in which it asked Axis Bank to encash a bank guarantee of Rs 2,000 crore by the Anil Ambani group firm. In the first show cause notice, the DoT had sought to know why the bank guarantees submitted by debt-laden telecom service provider should not be invoked by the government. In the second notice, the department sought to know why RCom’s spectrum licence should not be cancelled for failing to pay spectrum fees on time. RCom had approached the NCLAT, pleading that the notices and the letter to Axis Bank were in violation of the tribunal’s February 4 order, in which it had said that until further orders of the appellate tribunal or the Supreme Court, no one would sell, alienate, or create third-party rights over RCom's assets. The Ambani led company had on February 1 said it would file for insolvency all its attempts to revive the firm over the past 18 months had come a cropper. The board of the company noted that despite the passage of so much time, the lenders had received zero proceeds from the proposed asset monetisation plans and the overall debt resolution process was yet to make any headway.